Bill Magladry wasn’t your average surgeon. Growing up on horseback, this American cowboy’s adventures took him through our country’s wildest national parks throughout the Sierra Nevada mountain range. Attending medical school via the U.S. Army during World War II, Dr. Magladry continued his wild adventures on a different frontier. 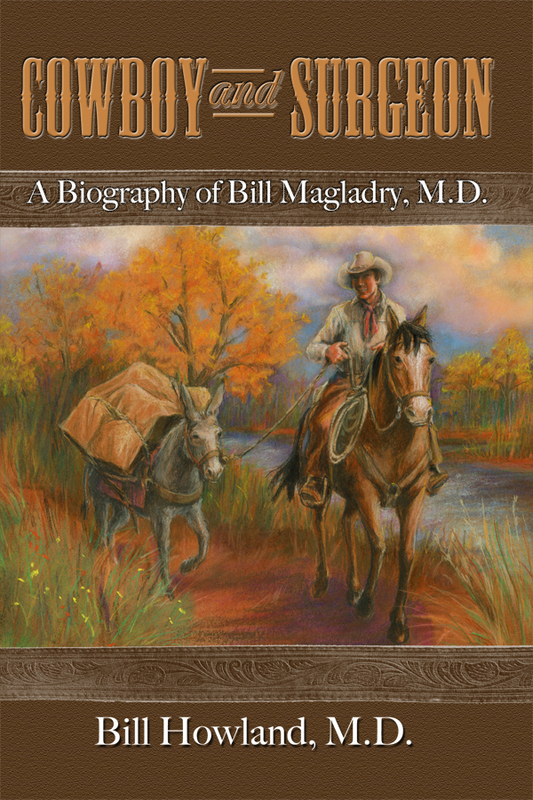 Cowboy and Surgeon shares the wonderful tales of Dr. Magladry’s adventures treating patients at the dawn of antibiotics, finding balance on understaffed Native American Reservations, and roping cattle during his downtime. Bill Howland, M.D. is a retired orthopedic surgeon living in California with his wife, children, grandchildren, and great-grandchildren. Throughout his twenty-eight years of surgical practice, Dr. Howland traveled domestically and internationally. Dr. Howland grew up in western Massachusetts and served in the U.S. Army for over seven years, spending time in hospitals throughout the country and Europe before settling into his practice in Redding, California. He was fascinated by the life of local surgeon Bill Magladry and wrote this book to share those adventures with the world.